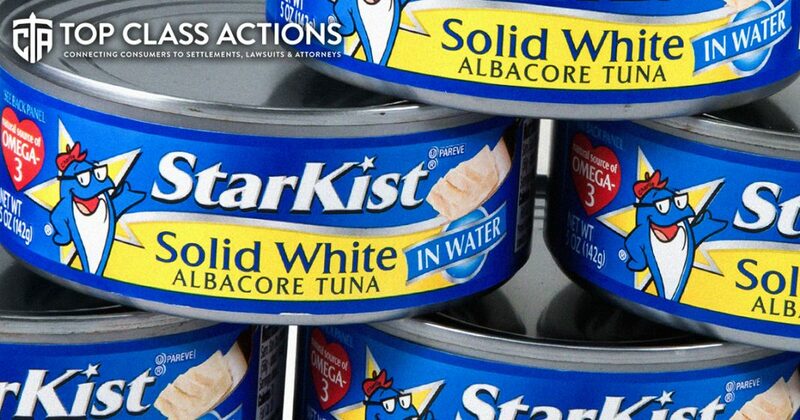 A New York federal judge determined that StarKist must face a tuna class action lawsuit taking issue with the company’s “heart healthy” claims, but has agreed to throw out some of the allegations. According to U.S. District Judge Gary Sharpe, the plaintiff sufficiently built a case that StarKist had used false advertising on their tuna labels by failing to disclose that the “Heart-Check Mark” on the can was a paid endorsement by the American Heart Association. Ring of Fire’s Farron Cousins discusses this with Scott Hardy from Top Class Actions. Farron Cousins: Anyone who’s ever had any kind of heart issues, blood pressure issues, one of the first things your doctor is going to tell you is that you have to be more conscious about what you put in your body. A lot of times they will give you a list of foods, tell you to look out for sodium, watch out for this, watch out for that. And so consumers who have any of these issues or consumers who want to avoid any of these issues rely on the product labeling to tell them whether or not this is a heart healthy food. But as we’re finding out, according to a new lawsuit, sometimes companies are actually just paying to have that label on there when there is nothing heart-healthy about their food at all. Joining me now to talk about this is Scott Hardy from Top Class Actions. Scott, right now we’ve got the StarKist heart healthy tuna, big label on the can heart healthy. They’re paying to have that label on there, aren’t they? Scott Hardy: Well, so it all depends on your interpretation of things there Farron. StarKist is saying, no, no, no, we’re not buying that label while the plaintiffs are saying, ah sure looks like it. You know, the, the class action is stating that, you know, the, they didn’t know that StarKist was spending money and giving money to the American Heart Association to put this label on their packages and StarKist is saying, hey, no, we just pay them to test it. We don’t actually, we’re not guaranteed that we will get the heart healthy label just by writing a check to the American Heart Association. So that’s the, the two sides of it. Now, how many companies pay for the AHA checkmark and don’t get it? That’s not quite clear on this. My guess is very few are denied. The, the AHA’s labeled once you write them a check for their testing. But, you know, what we may see that as it goes through. What is an interesting, another interesting point on this class action is that injunctive relief was thrown out, meaning that most likely StarKist will not have to change the labels or drop the AHA, the AHA checkmark on their StarKist tuna. The judge had said, because the plaintiff said, I’m not going to buy StarKist tuna anymore. And so the judge said, well, if you’re not going to buy StarKist tuna anymore, whether the labels there and that, that little check mark is there or not doesn’t impact you and your buying decision. So that has dropped from this class action. Now where you damage because you wouldn’t have bought this tuna without the label? Yes, we do believe that there was financial, there may have been financial damage there. And because you bought this thinking that it was heart healthy, so they’re, the financial damages aspect of it is active in this class actions. Which means that if we see a settlement, which we probably will, that we will most likely see some, a big check written by StarKist. In the past, the StarKist tuna lawsuits that we’ve covered had generated thousands of comments. This one was reported on March 27th is up to 575 comments and I’m sure we’ll go ahead and spike up a lot more once your viewers know about it. But, you know, we’ll see how this one proceeds through the courts. Farron Cousins: What’s interesting to me is, is two separate parts of this. First and foremost, if they don’t remove that heart-healthy label, because this, this plaintiff in particular said, I’m not going to buy it anymore regardless. So leaving the label up there to me just seems like you’re going to have more people purchase the product only because of that label. So the judge’s ruling on that is really confusing. You know, I, I don’t understand why, okay, well leave the label, but yes, you were duped by, by the label, kind of just leaving that door wide open for more suits to come in down the road. But the other part, and this is the far more interesting to me is as you touched upon there, we don’t know how many companies get rejected for this label. So if this particular lawsuit is able to get into a better discovery process and actually go to the American Heart Association and say, hey, we need to see some documents about who was rejected and why they were rejected and compare that to numbers and studies and reports that you’ve done on people you did approve because we want to see what the process is here. My guess is we’re not going to get to that point cause I don’t think either StarKist or the AHA wants us to really know what’s happening behind the scenes. Do they? Scott Hardy: Exactly. What I’m willing to bet will happen is that we’ll see a settled one come out that we’ll see some cash get back into, you know, the people who love and eat StarKist tuna, and I got friends that eat this almost on a daily basis, that we’ll get some cash back in their pockets for possibly being misled. And the, even though there was no injunctive relief tied to this there as part of the settlement, there will probably still be some modification to the label. So that might be the little asterisk. So you’ve got the AHA check mark and it says it’s been tested and it’s so we can say yes, that has been tested and now, there is a little star that says StarKist paid for the testing. Now will that happen? We’ll see. But that, that’s my guess as to what will actually happen. Farron Cousins: Well, we will see as this thing continues to play out, Scott Hardy from Top Class Actions, always a pleasure talking to you. If anybody needs more information on this issue, follow the link in the description of this video and head over to topclassactions.com. Scott, once again, thank you very much for talking with us. Scott Hardy: You’re welcome. Thanks for your time Farron.